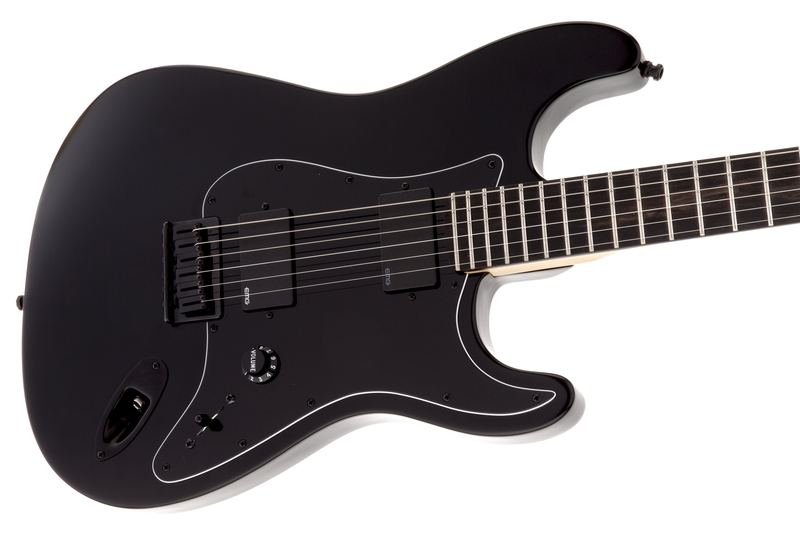 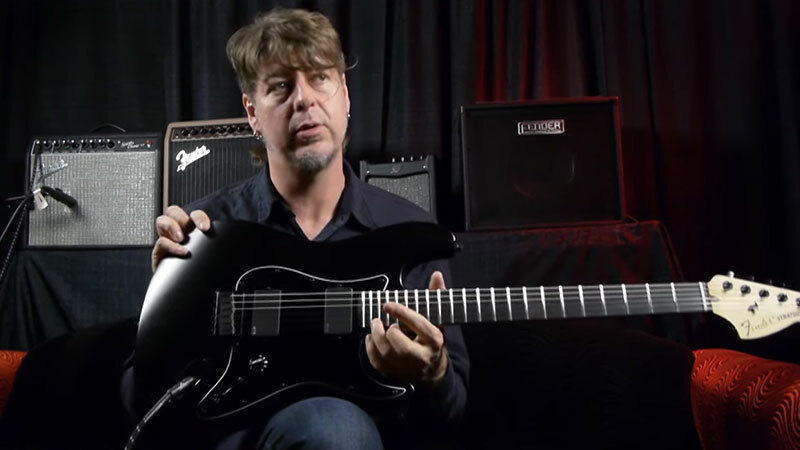 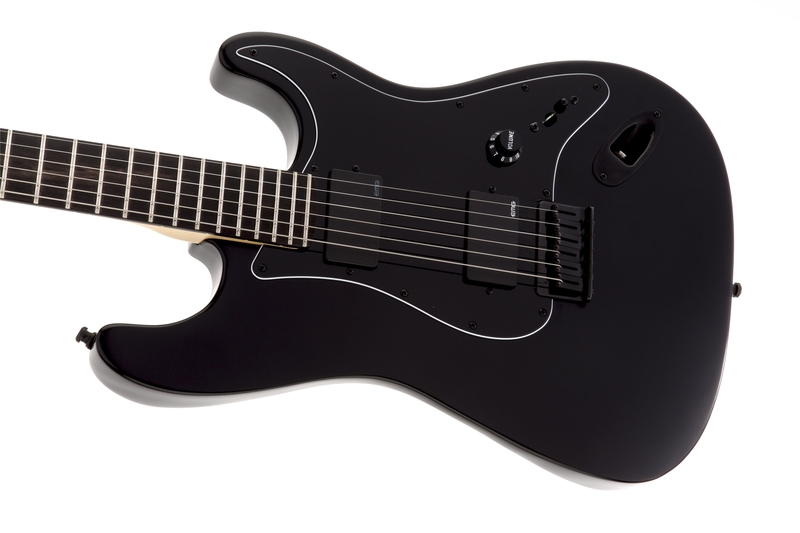 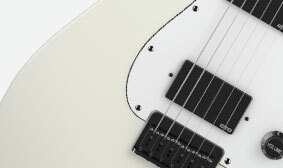 For a decidedly non-traditional design and configuration, the crushing nu-metal sound of the Jim Root Stratocaster is produced by a fearsome pair of EMG® active humbucking pickups. 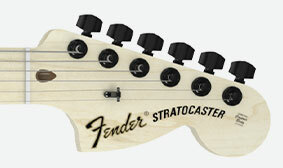 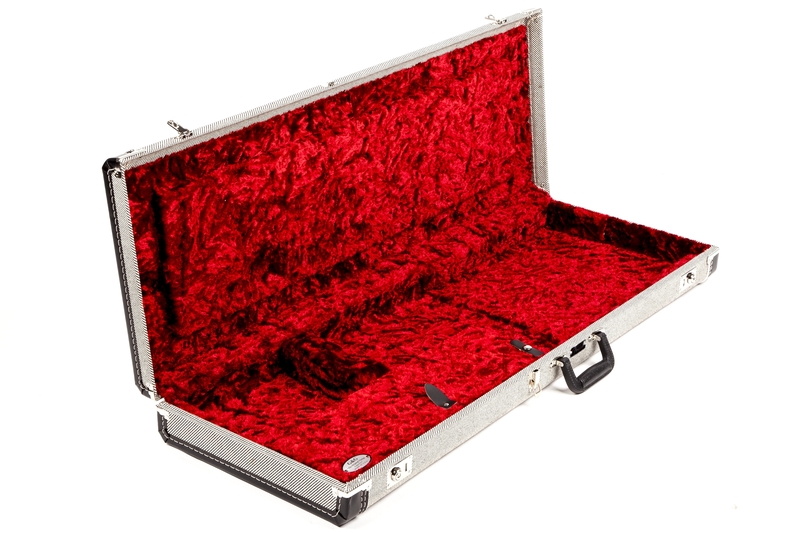 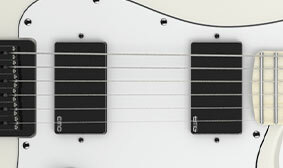 This instrument features a compound-radius fingerboard, a sophisticated and carefully crafted feature in which the fingerboard has a more pronounced curvature across its width near the nut (ideal for chording) and gradually flattens to a very slight curvature toward the upper frets (perfect for bending notes and soloing). 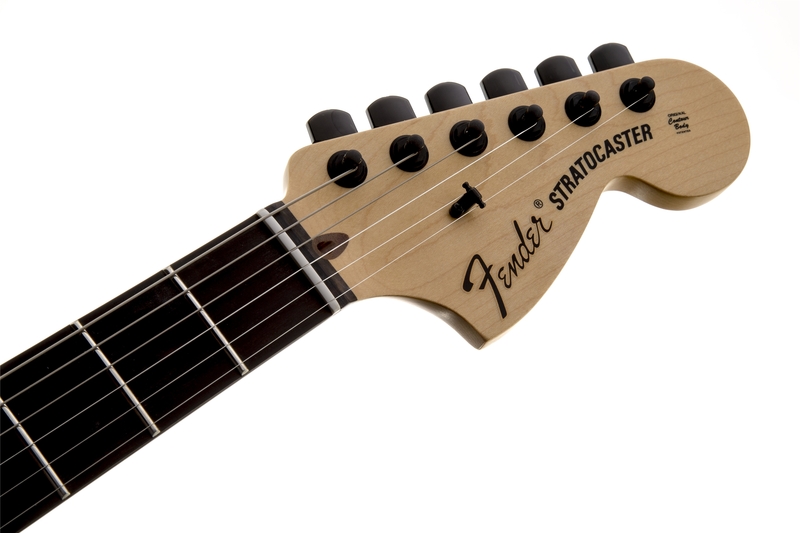 A convenient high-end, high-performance feature, locking tuners offer increased tuning stability, especially on tremolo-equipped guitars, and they make changing strings substantially faster and easier than conventional tuners. 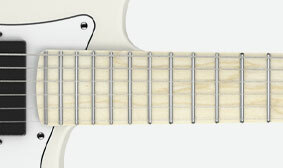 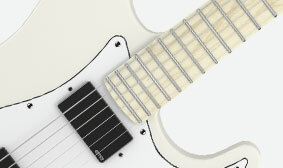 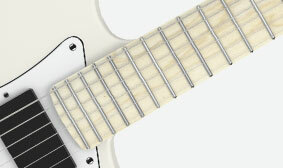 The Jim Root Stratocaster in Flat White features a traditional maple fingerboard with no inlays. 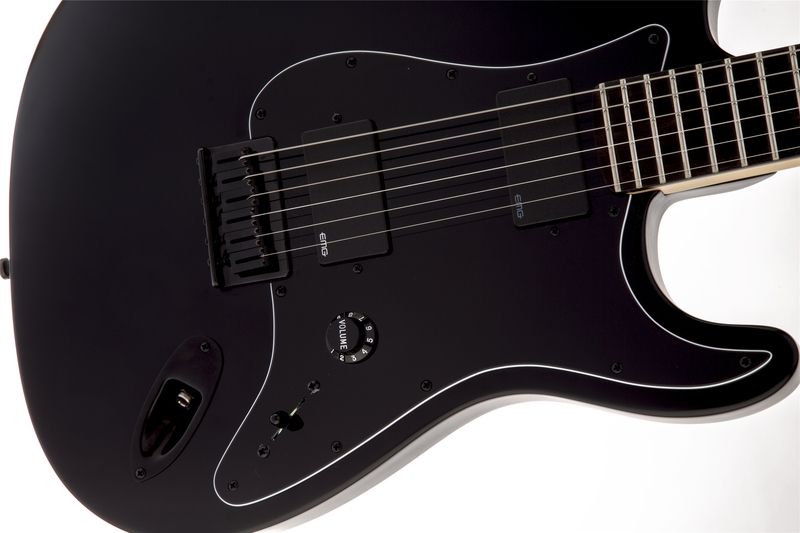 The Flat Black model has a darkly alluring ebony fingerboard with no inlays. 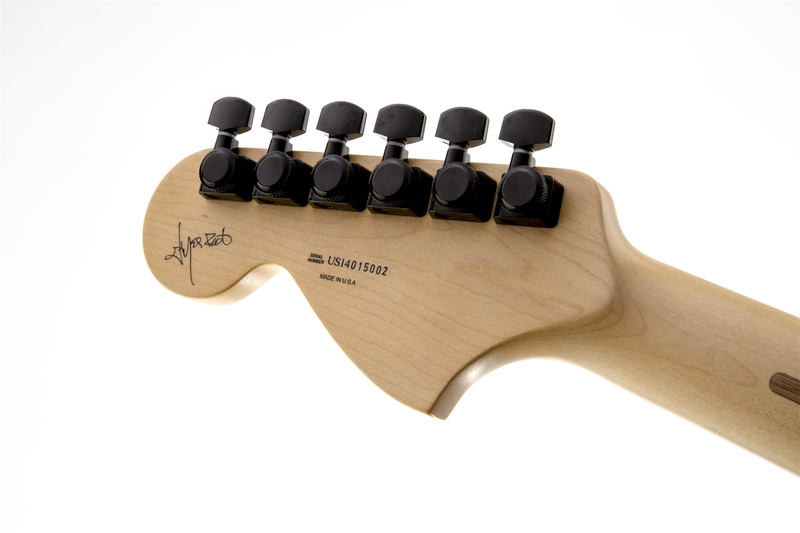 The finish on this instrument combines the resonance and thin breathability of lacquer with the stylishly muted matte look of a satin color coat.